리디북스는 미국에서 큰 화제가 된 의 한국어판 e-book 독점출간을 앞두고 책에 대한 홍보 및 검색 유도를 위한 캠페인을 진행하였습니다. 는 미국 닉슨 대통령의 하야를 이끌어 낸 사건을 고발한 미국 유명 언론인 밥 우드워드의 신작으로 트럼프 대통령과 그를 둘러싼 백악관의 혼란상을 그린 책입니다. 이렇듯 전세계적으로 이슈를 만드는 인물에 대한 책이 출간되는 만큼 트럼프라는 사람에 대한 대중의 관심이 도서로까지 이어질 수 있도록 하는 데에 집중하고자 했습니다. 그에 따라 MBC <100분 토론>의 사회자이자 정치학자 김지윤 박사를 모델로 트럼프 대통령에 대한 질의응답 인터뷰의 방식으로 캠페인 영상을 제작하였습니다. 영상 마지막에는 책에 대한 김지윤 박사의 전체적인 서평 및 CTA 카피를 삽입하여 사람들의 관심을 제고하였습니다. OOH는 유명 서점 주변 버스쉘터 및 지하철역 내부 등에 집행하였으며 ‘는 가까운 서점에서 만나보실 수 없습니다.’라는 카피로 일반적인 종이책이 아닌 e-book이라는 특징을 명확히 전달하였습니다. 더불어 책 출간과 동시에 Native AD 및 블로그 마케팅을 진행하여 트럼프 대통령에 관한 기사를 접하는 사람이나 그와 관련된 이슈를 검색 해보는 사람들이 책에 대한 정보를 접할 수 있도록 하였습니다. 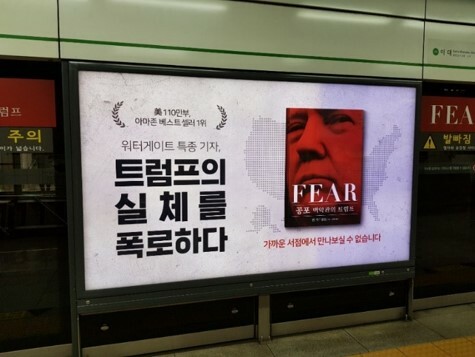 RIDIBOOKS executed a launching campaign to promote and drive the search for the Korean e-book of “Fear: Trump in the White House” which created a massive buzz throughout the USA and will be published via RIDIBOOKS exclusively. 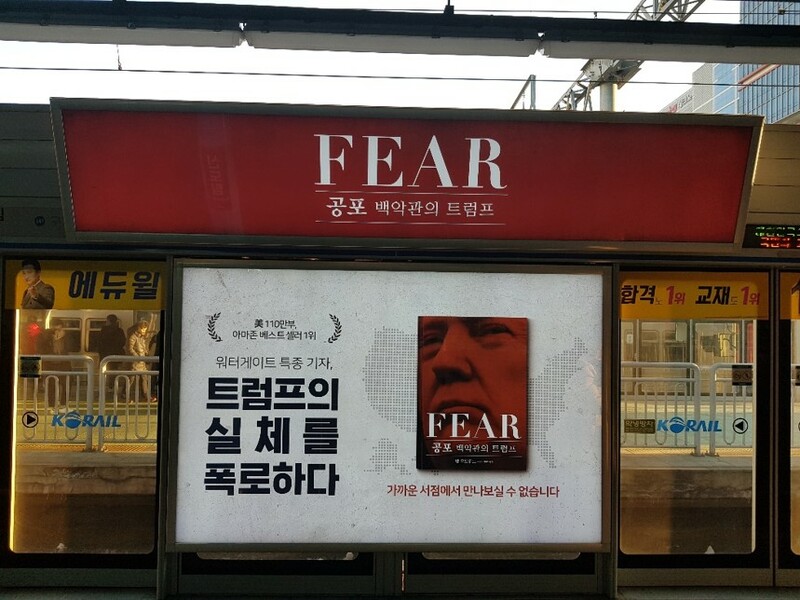 “Fear: Trump in the White House”, featuring President Donald Trump and the chaos of the White House surrounding, him was written by Bob Woodward who uncovered the Watergate scandal that led to President Richard Nixon’s resignation. 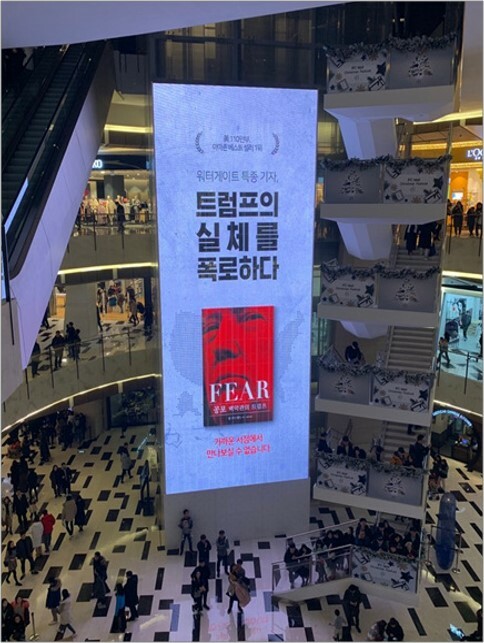 Since the book is about a person who creates international issues, the campaign focused on connecting the interest in the person to the interest in the book. 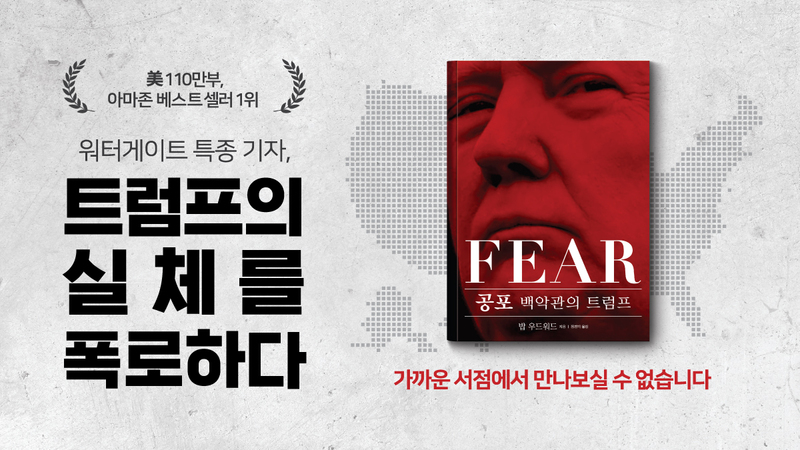 As such, we produced a campaign film featuring an interview about President Trump with Dr. Jiyun Kim, a politician and host of “100-minute Debate” by MBC. We added her review on the book and the CTA copy at the end of the film in order to raise further interest. 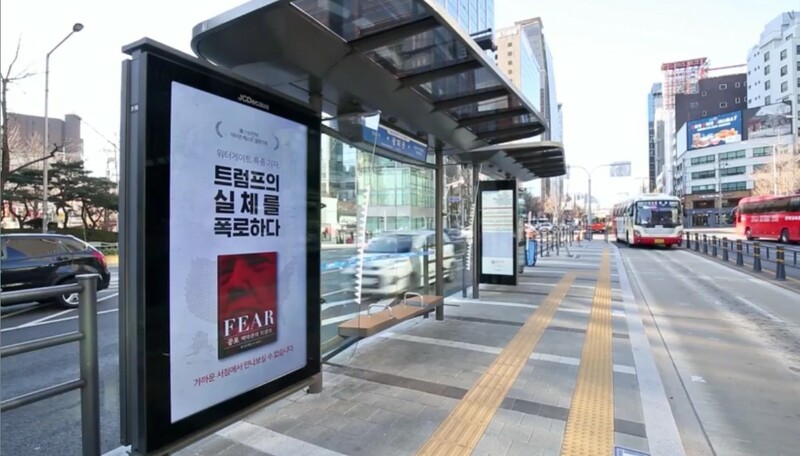 We also executed OOH throughout the bus shelters and subway stations nearby popular book stores, with a copy saying “‘Fear: Trump in the White House’ is not available at any bookstores nearby.” in order to clearly indicate the product characteristic of being an e-book. In addition, we executed Native Ad and blog posts at the point of publication in order for any consumers who would access to relevant articles or would search about him to be able to access to the information relevant to the book.